A subscription is included with membership in National Psychological Association for Psychoanalysis. 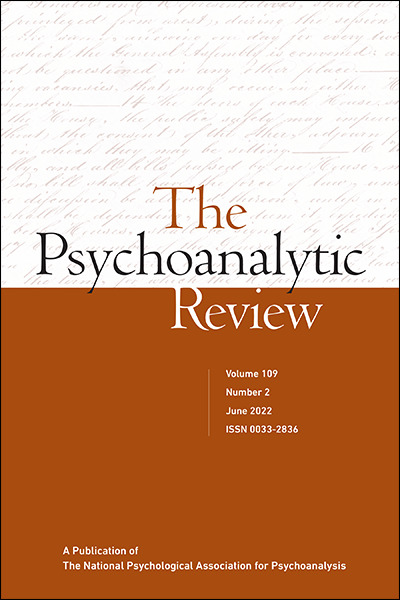 The Psychoanalytic Review was founded in 1913 as the first English-language journal dedicated to psychoanalysis, four years after Freud’s only visit to the U.S. Its co-founders and editors advocated for the journal a general psychodynamic and psychoanalytic perspective on behavior that was free of sectarian bias. Currently a leading forum of critical discourse in psychoanalysis, The Psychoanalytic Review is highly respected for its penetrating analyses of contemporary theory and practice. The journal devotes special issues to important themes and thinkers, and reviews current films and books that hold significance for the psychoanalytic community. Contributors have included such noted authorities as Martin Bergmann, Morris Eagle, Joseph Lichtenberg, W.W. Meissner, S. J., Adam Phillips, Leo Rangell, Thomas Szasz, and Robert Stolorow.